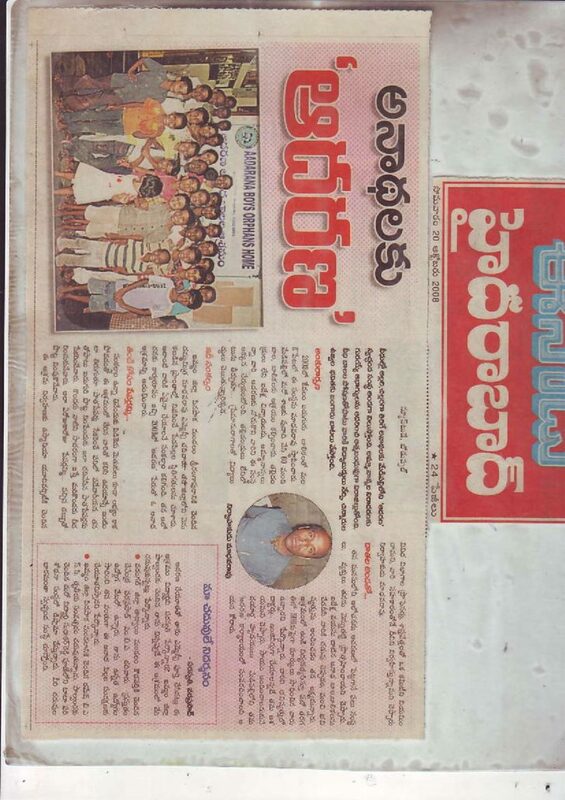 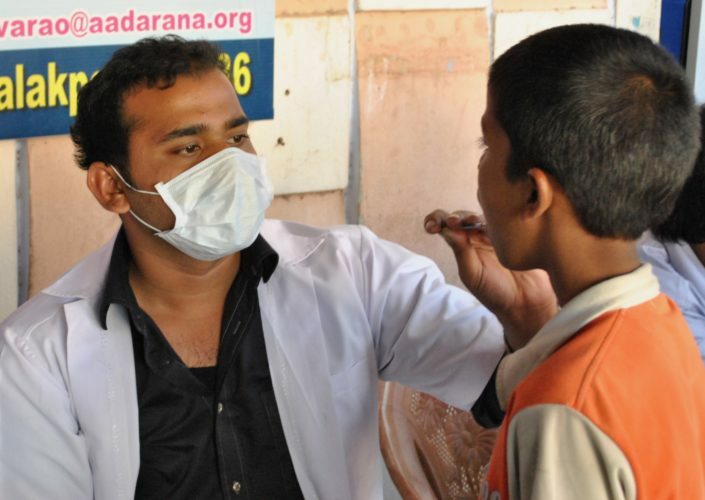 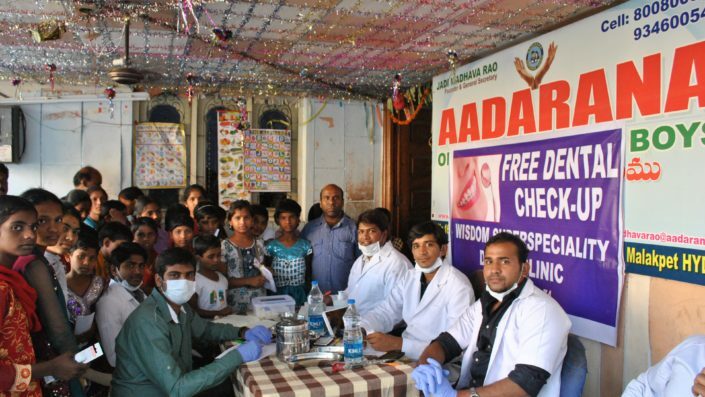 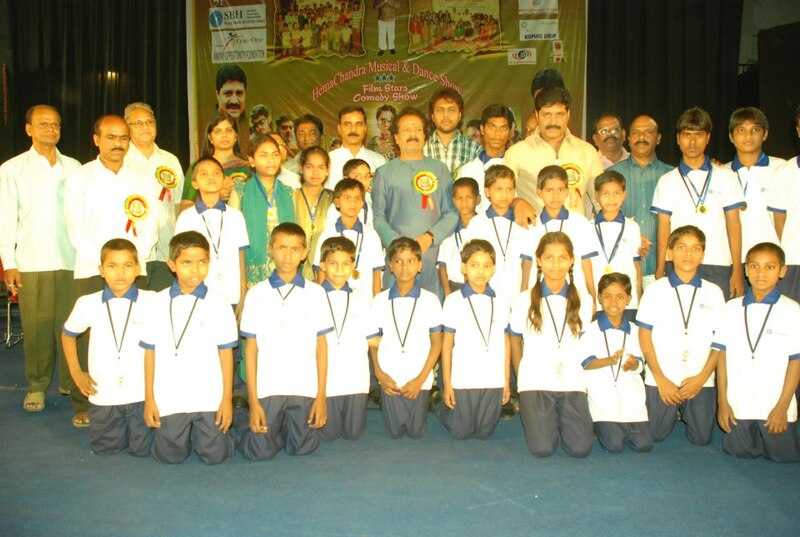 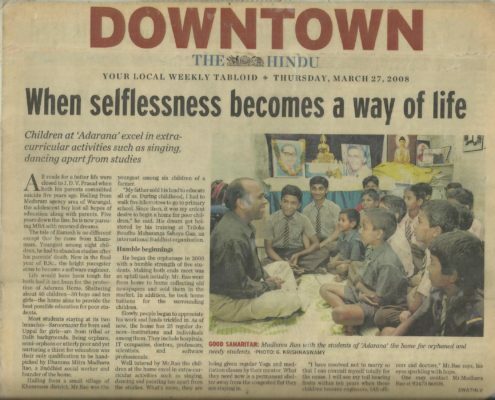 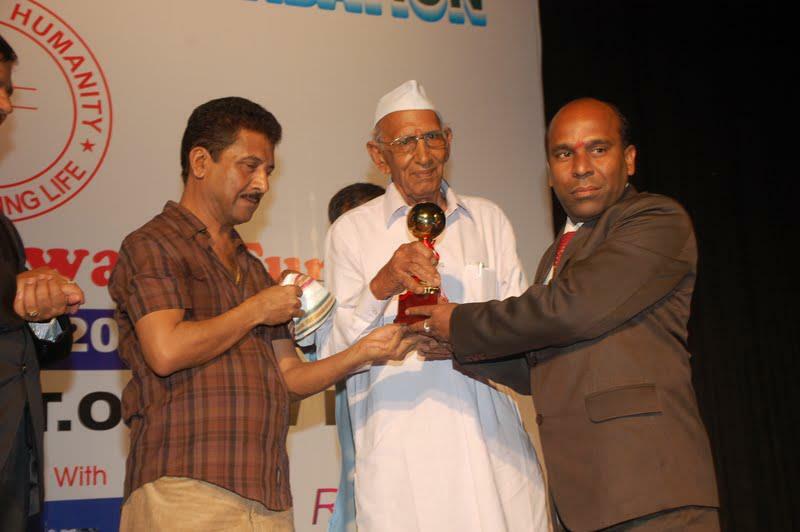 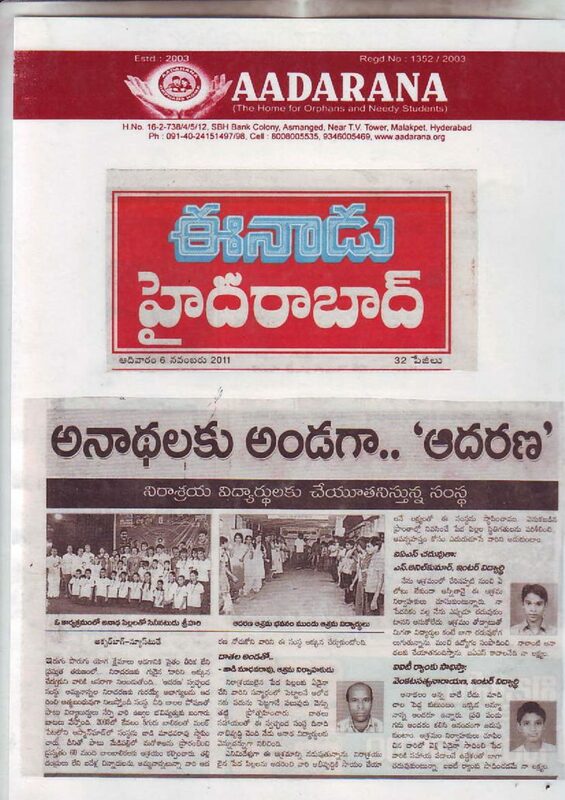 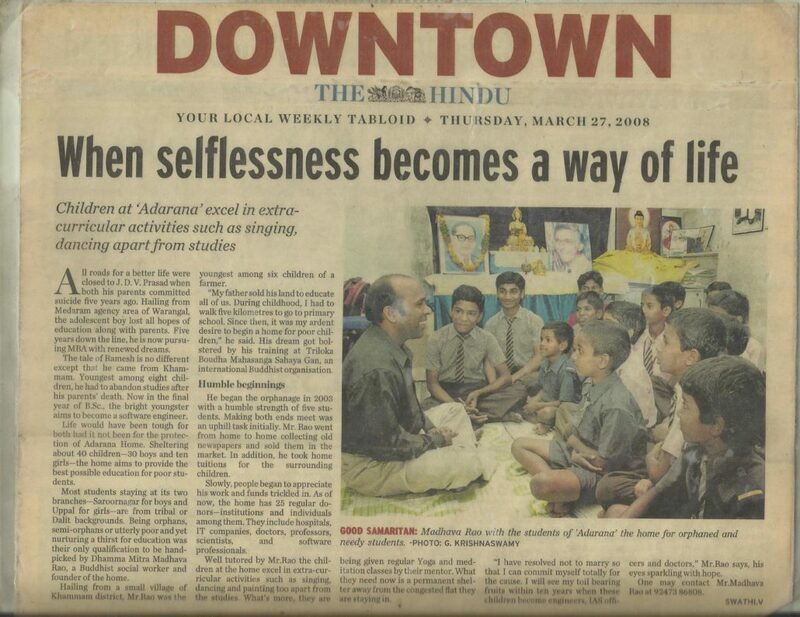 ‘AADARANA’ IS THE HOME FOR ORPHANED, NEEDY, NEGLECTED AND DESTITUTE CHILDREN OF OUR SOCIETY. 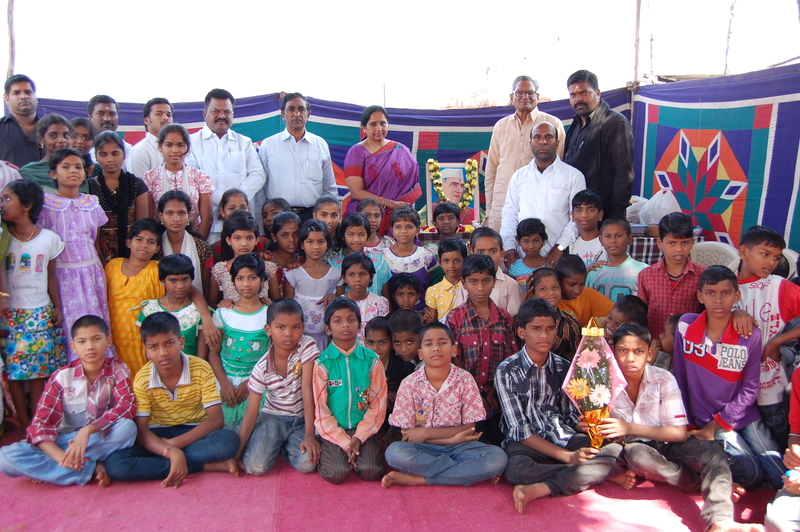 ‘AADARANA’ embraces these helpless children with warm and protective hands and provides them food, shelter, and clothes. 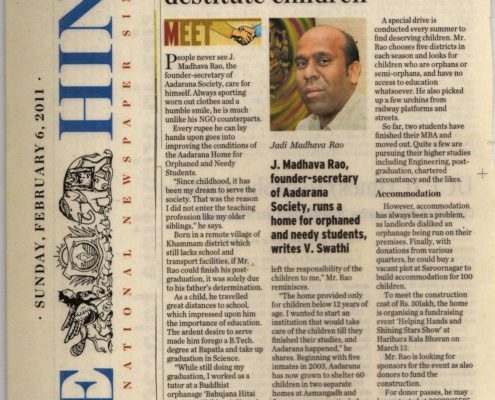 ‘AAADARANA’ also gets them admitted in its own school- ‘AMITHABHA AADARANA VIDYALAYA’ situated in the same premises. 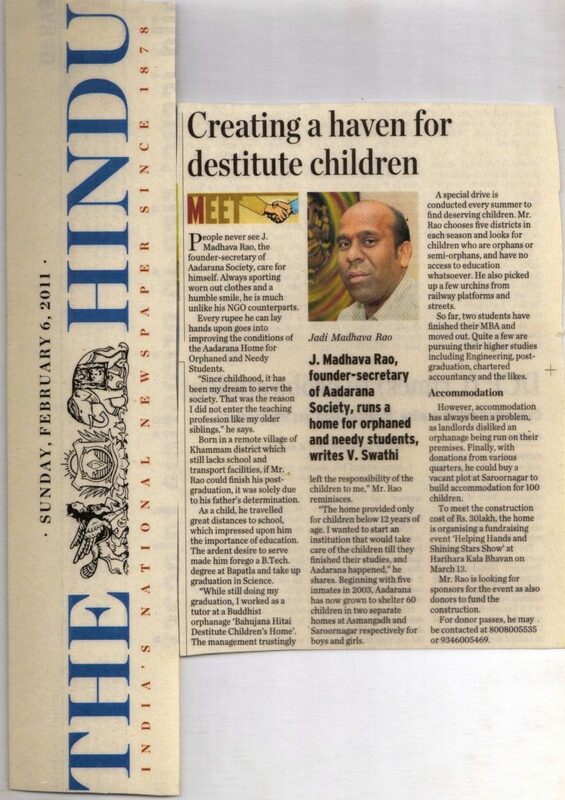 ‘AADARANA’ not only imparts knowledge to these children of fate but inculcates behavioural and cultural manners and attitudes to make them future civilised citizens of India. 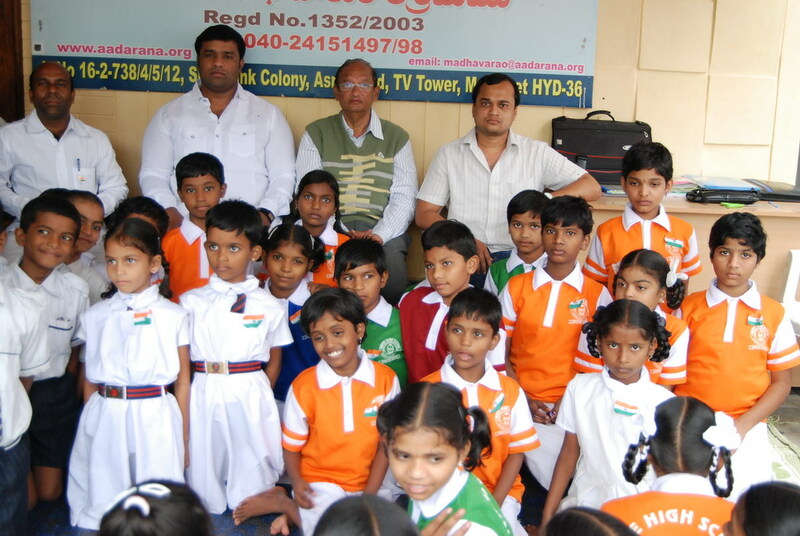 All these exercises are taken up with loving care, dedication and involvement. 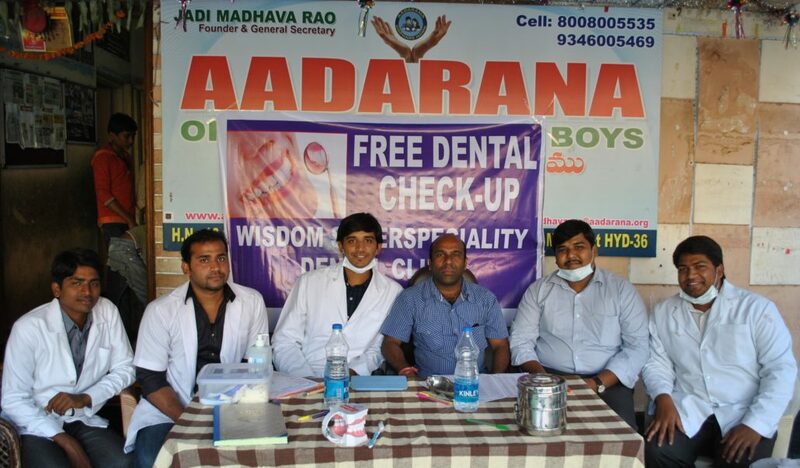 Anyone who wishes to become a Volunteer of ‘AADARANA’ is welcome. YOU are welcome to participate in the following activities. 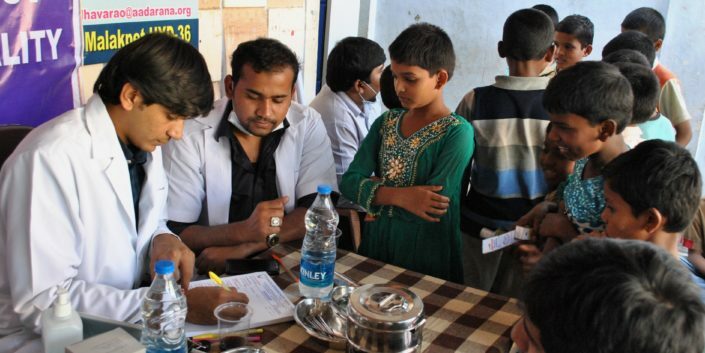 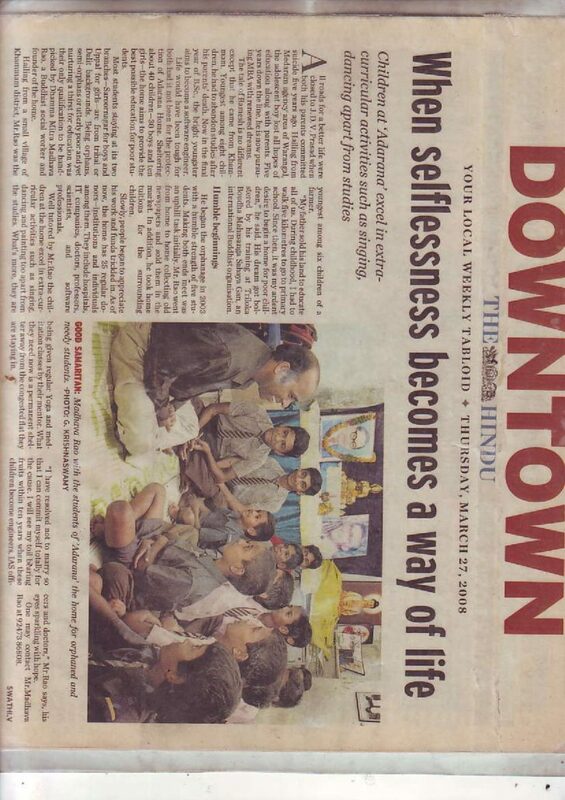 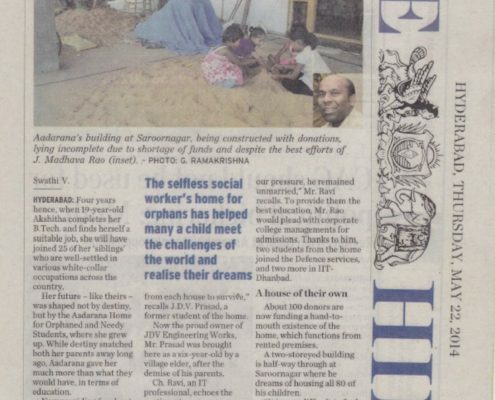 Aadarana is giving a shelter and education for abandoned and homeless kids. 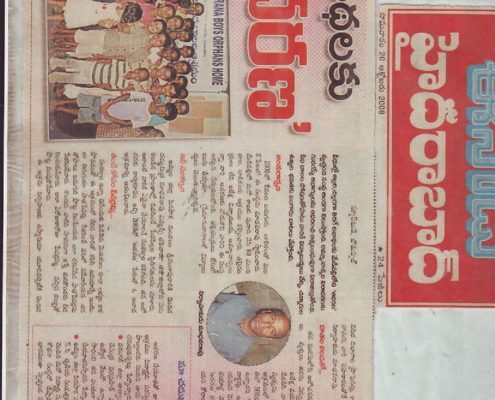 Please support it. 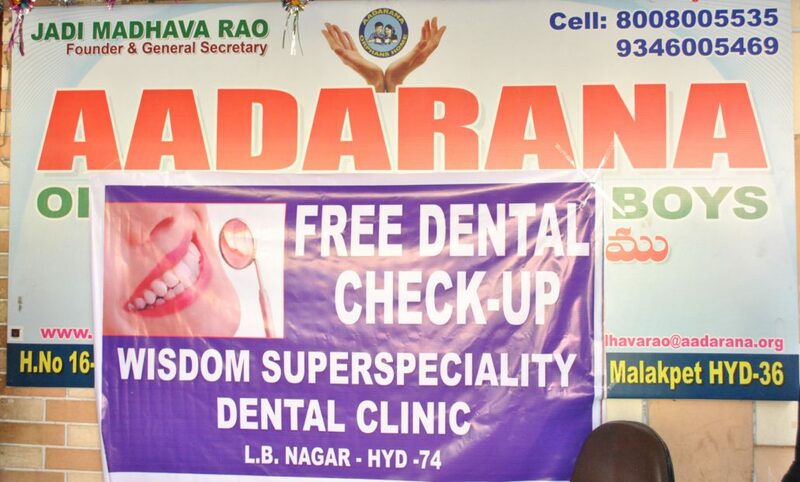 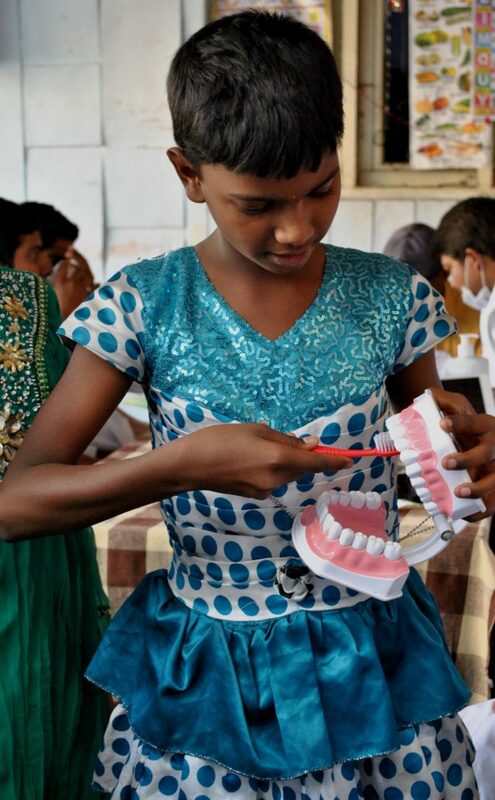 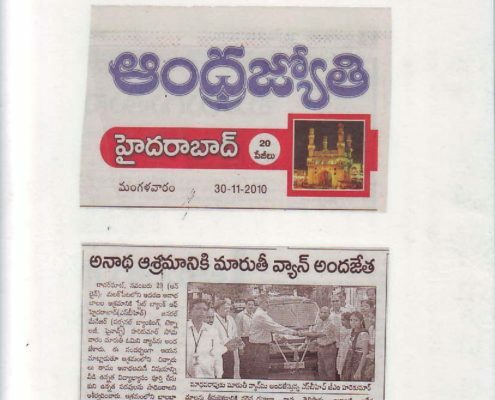 Address: Plot No.74, Krishna Nagar Colony, Saroor Nagar, Hyderabad- 500074.